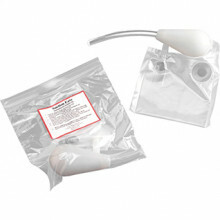 Purchase 50 or more Disposable Suction Easy Devices and download your free support pack worth £100. Purchase 200 or more Disposable Suction Easy Devices and you can have personalised covers absolutely free! Suction Easy is a disposable, inexpensive and very effective oral suction device used to clear the oral pharynx. It provides rescuers with the quickest, safest and most effective form of immediate oral suction available. The device is easy to grasp and compress, regardless of hand size or grip strength. 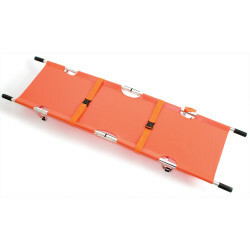 It is rugged and compact and can be easily transported in a medical kit. It is almost unbreakable. There's no need to worry about batteries or electricity. It's is available for immediate use. Just extend the suction tube and begin suctioning. Enough suction and caliper to rapidly and completely open the upper airway. With Suction-Easy, there's no down time and no clean up. Ease of grip and compression regardless of hand size or grip strength. Total fluid capacity is in excess of 1,000 cc. Enough to contain the entire excretion from the upper airway. Contoured suction tip and controllable vacuum prevent tissue damage. 1/3 the size means minimal storage and carrying space requirements. 1/3 the weight means minimal load added to bags.